In the beginning when I was single and broke. Folding over a square of scrap gift wrap was cheaper than buying premade tags. I mean, it matched the wrapping paper. For a long time I recycled the front of Christmas cards as gift tags for the following year because I’m lazy it is eco-friendly – until everyone started sending ecards instead of paper. One year I made an effort to make clever gift tags by upcycling telephone book pages and old business cards. Clever, but they don’t quite go with my glammy brocade and velvet gift bags. 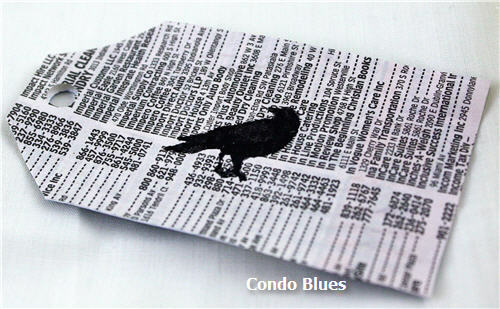 Learn how to make my Recycled Put a Bird on it Gift Tag here. I put together a collection of handmade gift tags from some of my favorite crafty bloggers. 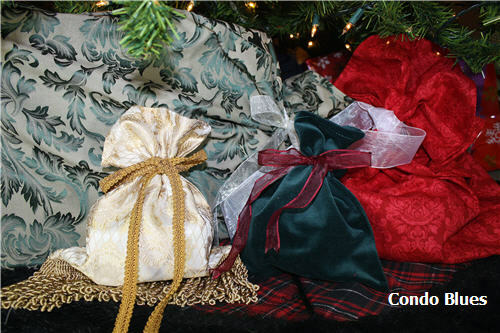 Many of these gifts tags can be reused as gift tags or as a Christmas tree ornament the following year. Love that! 6 – 16. 12 Days of DIY Gift Tags – One Dog Woof. ChiWei is brilliant and I can’t choose which one of her gift tags is my favorite because they are all so cute. Her designs are so clever and deliberate you’d never know she made most of them from bits and bob she found around her house. They look like she spent hours designing these tags. 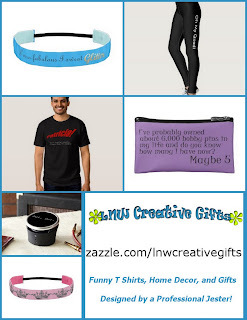 What to you use for gift tags?